The Aedes aegypti mosquito is an important carrier of dengue, chikungunya and Zika. Scientists studying the effects of climate change on habitats and wildlife in Texas could use a little help. Enter citizen science, in which volunteers help collect scientific data. Citizen-science programs expand the amount and type of information that can be collected and the reach of many studies beyond what professional scientists could accomplish on their own. These initiatives typically address questions that require long-term, large-scale data collection, such as tracking the abundance and movement of a particular animal. According to research, data from volunteers proves as reliable as that collected by professionals, and opportunities to participate in citizen science continue to grow. Here are three projects in Texas that contribute to our understanding of the effects of climate change and efforts to mitigate those effects. 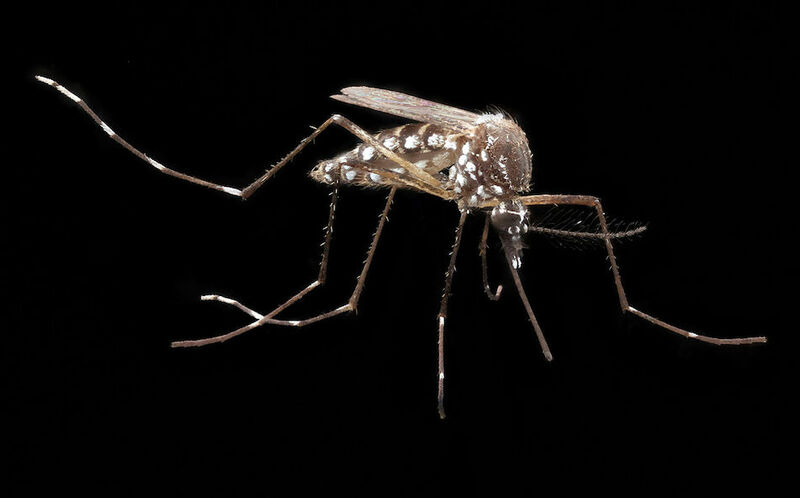 The Global Mosquito Alert Consortium asks volunteers to look for and report mosquito species known to carry Zika, yellow fever, chikungunya, dengue, malaria, and West Nile viruses. These diseases kill nearly 2.7 million people a year. Rising temperatures caused by climate change can shorten the time it takes for mosquitoes to mature, leading to increases in mosquito populations – and outbreaks of the diseases they carry. Heavy rains, which scientists say are among the extreme weather events happening more often because of climate change, can increase post-storm ponding and therefore mosquito-breeding habitat. NASA’s GLOBE Observer Program supported development of the Mosquito Habitat Mapper, an app that citizen scientists use to map, count and identify mosquito larvae found in breeding sites. The data help those working to understand and reduce mosquito-borne diseases. “Using the app, people can document mosquito breeding sites,” says Holli Kohl, GLOBE Observer coordinator. Participants find standing water and report whether it contains eggs, larva, mosquitoes or a combination, submitting a photograph as well. People can also sample the water and count and identify the species present. The app provides a decision tree that guides a user through each step, Kohl says, and at the end, urges corrective action such as dumping water out of an artificial container or treating a pond. The Texas Parks and Wildlife Department’s citizen-science initiative called Texas Nature Trackers uses the iNaturalist app to track target species. TPWD has 11 long-term projects collecting data critical to understanding distribution and seasonality of plants and animals in Texas and how both are changing over time. Climate change increasingly affects many of the species in these projects, including native pollinators, amphibians, and birds. While department efforts focus on a list of species of greatest conservation need, the project encourages people to enter common species as well. “You never know when the status of that animal could change or who is going to be using the information,” Homayoun explains. Volunteers can create an account and enter data through the website as well as the app, she adds, and TPWD does use the data. It is added to other data on species the Department tracks and used to supplement the Texas Natural Diversity Database. This database manages and disseminates scientific information on rare species, native plant communities, and animal aggregations and helps facilitate conservation planning, natural resources management and the design and implementation of ecologically sound development projects. Volunteers help keep the information up-to-date and accurate, Homayoun says, so the department can better steward those natural resources. For this nationwide project, volunteers monitor sites during frog-breeding season, February to August. The data help scientists understand the scope, geographic scale and cause of dramatic declines occurring in many frog and toad populations. This citizen-science project requires more commitment than many; volunteers receive training and typically monitor a designated site regularly throughout the breeding season. At the Mitchell Lake Audubon Center in San Antonio for example, volunteers monitor their assigned sites twice a month for the six-month season. With Texas in general growing drier and seeing more severe weather impacts, FrogWatch helps the Center better manage climate-change effects, she adds. The site provides important water sources for birds as well. Frogs become vocal during breeding season, and FrogWatch participants use sound to identify different species and their numbers if possible. More volunteers are always welcome, Beesley says. There are also Texas FrogWatch chapters in Austin and at the San Antonio Zoo. Find more citizen science projects at SciStarter and The Zooniverse. Melissa Gaskill is an independent journalist in Austin and a contributing editor of Texas Climate News.